Fitbit has always been a leader in wearables when it comes to accessories for its fitness trackers. Its devices are uniquely customizable – in fact, they are second to none on the market in this niche. There are many ways to hide or emphasize the device and many fascinating accessories you can use, both for older Fitbits like Zip and for newer model trackers like the Charge HR & Surge, Alta and Blaze. Older Fitbits such as the Flex feature a removable sensor that you can conceal in jewelry or bands. A tracker is never just a tracker – it’s an image, a vision, a way of life. 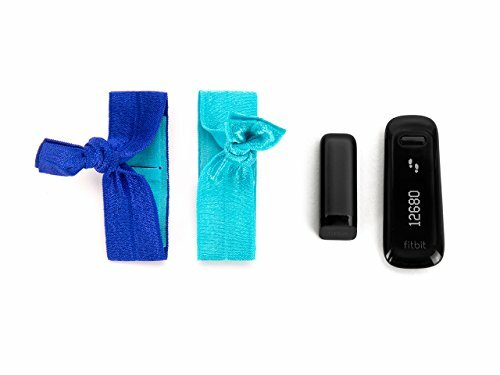 We’ve compiled a list of some really excellent Fitbit accessories and replacement parts for your reading pleasure. If you own a Fitbit Blaze, please stop here and check out our article on Fitbit Blaze Replacement bands. For top Misfit replacements and accessories click here. This is a somewhat different accessory in terms of style and, of course, pricing. I mean different from The Friendly Swede Fasteners that keep your Fitbit in place (more on this later). 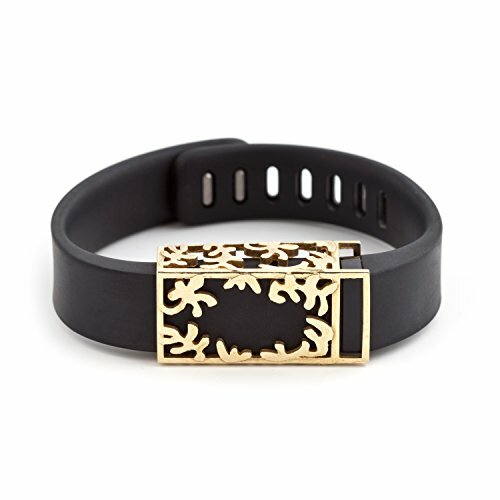 Tory Burch is one of Fitbit’s official partners, offering a wide variety of stylish and elegant fitbit replacement goods for the Fitbit Flex (among others) such as pendants and bracelets. They look like regular jewellery. All you have to do is fit the tracker in the back of the bracelet or pendant and latch it shut. 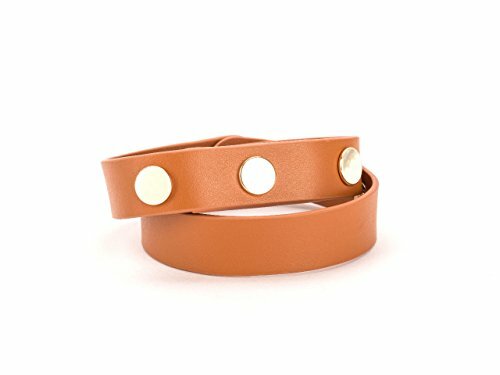 This is a great option for people who don’t like wristbands. The Tory Burch for Fitbit bracelets and pendants come in three very beautiful colors – you can choose between silver, rose gold and gold. They’re not exactly a bargain currently though. This is also the most expensive item on our list. Let’s continue with the style and elegance – there are such accessories for men as well! Just because you’re a guy doesn’t mean you always want to show off your tracking. It’s not appropriate in some situations. Here comes a hand-made leather wristband that holds the Fitbit Flex’s sensor in place. The sensor will be in a small silver box with a stone in front of the tracker that you can pick out. The bracelet is transparent without any ugly plastic. What’s really cool about it is that you can still see the sparkling lights. You can buy it at the shop of Creek Reflections at Etsy. This little clasp is on Amazon and also Etsy, where you’ll find a myriad of handmade accessories. The slide is simple and subtle and all you need to do is fix it to your Fitbit – there is no need to get an extra strap. There are some compatible bands for the Charge HR Fitbit, the most attractive being a leather wristband cover. Easily transform your Fitbit Flex into a beyond-chic bracelet. Rock your Fitbit all the time - at the gym, the office, and even when you are out on the town. Available in premium silver, polished brass, smokey grey, and rose gold. Our products are made one at a time, are hand polished, and are Made in the USA. See Bytten's FAQs for care instructions and policies. The Griffin Uptown band is a double-wrap leather band with adjustable metal snaps that conceals the little sensor of the Flex. You can see the display through a small cut-out. 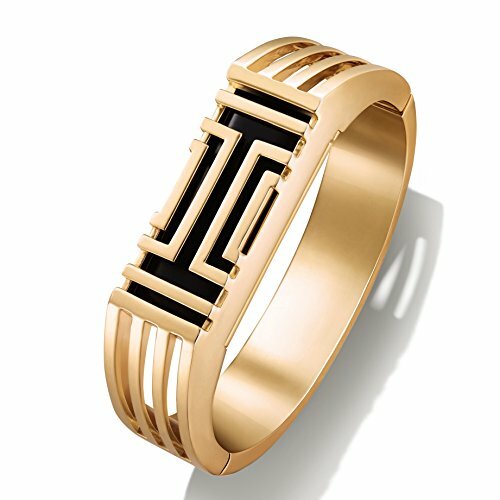 The band comes in brown or black. It is available from griffintechnology and also listed on Amazon. Now on to some more affordable, but still really jazzy and cool accessories. There is a multitude of these for Fitbit, as mentioned, so your choice is practically unlimited unless you have something concrete in mind. More about the specifics – if you’re like most people who have a Fitbit Flex, you have probably noticed that it comes open on its own really often. This is really annoying, right? And again, if you’re like most people, you have never heard of the Friendly Swede Silicone Fasteners. What are they? Well, they’re made of silicone, as the name suggests, and they fasten your Fitbit Flex. They are sold in packages of 12, so you can choose different colors and effects. The little fasteners are very effective and useful. Let’s say you are one of those people who want to be seen and heard. You don’t want to conceal your tracking – au contraire, you want it to be noticed, admired and respected. Then the NUITOP flex bands are just for you. They are designed specifically for the Flex. Popular motifs include colourful flower prints, all kinds of polka dots and camouflage. Loud and admirable just like your tracking. 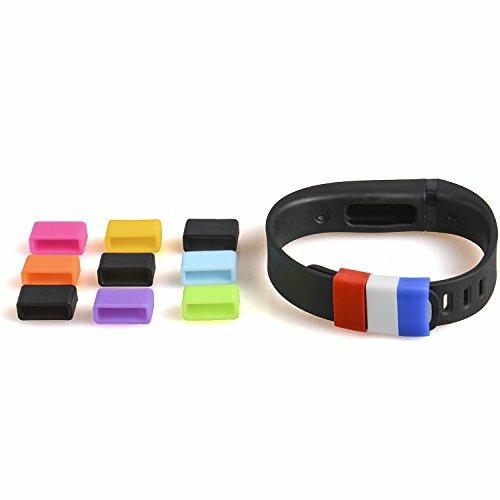 The Zipband accessory is a counterpart of the NIUTOP Fitbit Flex wristbands that Fitbit Zip users can take advantage of. This colourful wristband is an absolute delight and not unaffordable at £9.99. It is available at wocase.com and Amazon. 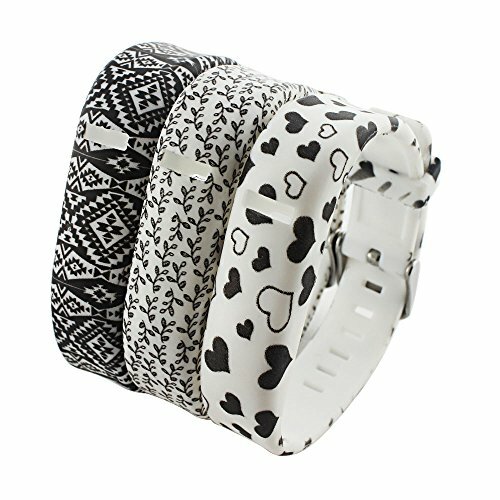 Wristband Free Size: Adjustable from 195mm/7.68inches to 248mm/9.76inches. Trademarked by Austrake : Perfect Fit or 100% Money Back Guarantee! This is another fitbit accessory from Griffin, albeit in the lower-market range. It’s a great choice for those who hate plastic, especially plastic wristbands. They look like ribbons, as the name suggests, and you’ll be a part of the trend immediately because it seems like everyone is wearing a bubbly hair tie around her wrist these days. There is a tight spandex pocket at the back of these enchanting, colourful bands, where it is possible to fit your Flex or Fitbit One. Fitbit users may also take a look at the compatible MDW replacement bands. Stretch ribbon is comfortable all day long. Inline pocket holds fitness tracker securely. Easily adjusts to fit most wrists up to 8.27Ã¢â'¬Â°Ãƒâ€ºÃ'Â (21 cm) around. 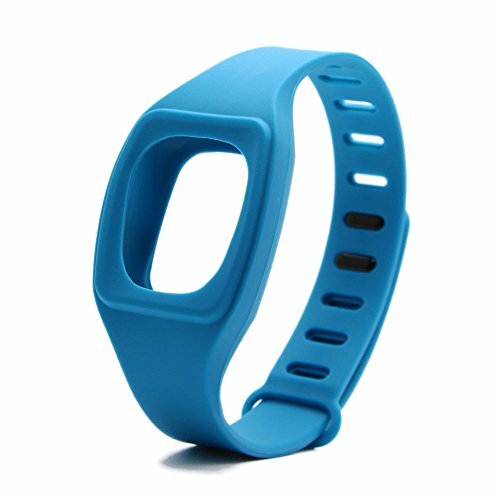 Use with Fitbit Flex, Fitbit One, Sony SmartBand, and other fitness trackers measuring up to 20 mm wide X 48 mm long X 10 mm thick. 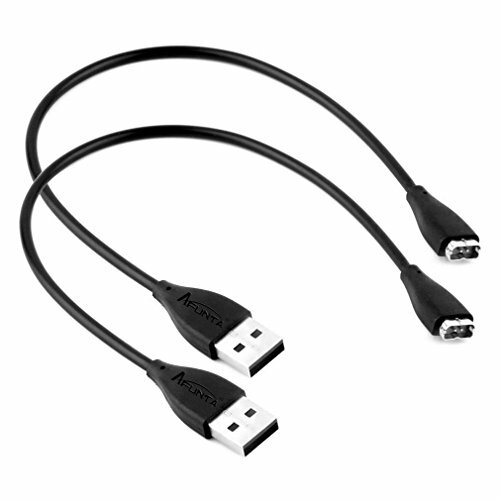 Finally, a word about replacement parts – these charging cables can be purchased for the Flex, the Charge and the Charge HR Fitbit models. They are actually unofficial versions of the charging cables on Fitbit’s website. A lot of them come in twin packs, so you can keep one in the gym and one at home. Various brands sell them on Amazon. These charging cables are a more than affordable solution, because it’s just not possible to always have that charging cable with you no matter where you go. USB Charging Cable Fits for Fitbit Charge HR Wristband. Only for Charging. Package Include: 2pcs USB Charging Cable for Fitbit Charge HR Wristband. For additional protection of your Fitbit’s screen you might consider to get a screen protector. There are so many on the market so it is difficult to say which one is the best. Maybe the user ratings will help you there. 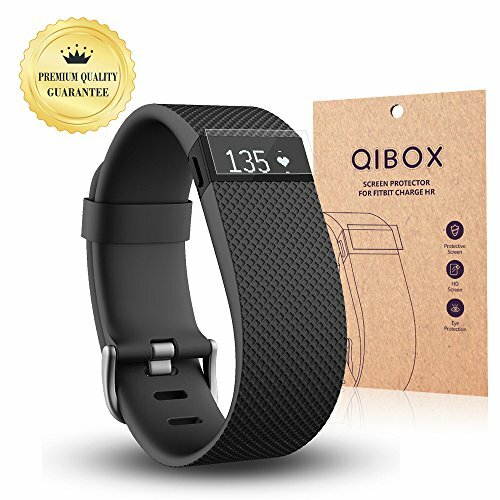 This QIBOX Screen Protector Pack features 10x Ultra Clear screen protectors compatible with the Fitbit Charge HR along with a set of installation squeegee card and a microfiber cleaning cloth. Each QIBOX screen protector is designed from a high quality, multi-layer shatterproof film imported from Japan. The multi-layer surface prevents scratches, scrapes, and fingerprints from forming on your screen. We hope you’ve enjoyed reading about the best Fitbit accessories on the market. Please check out our related articles on this topic. Because a tracker is never just a tracker – it’s an image, a vision, a way of life.